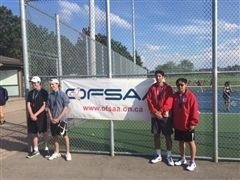 After three full days of tennis, rain delays, and location changes, Warren Zhang ’18 and Melvin Maroon ’17 finished fourth in the OFSAA High School Boys Doubles tournament. 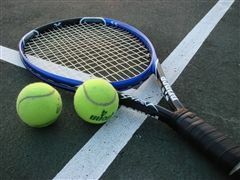 Congratulations to the U14 Tennis team for their 4-1 victory over Ridley College May 10! 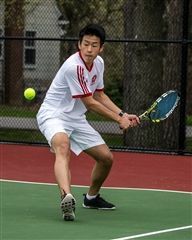 The 1st Tennis team was able to pull out a win during their first-ever meet on the Bagher Nejad Tennis Courts against Appleby College.